No matter where life takes you after your time at MCCC, alumni remain part of the MCCC community for the rest of their lives. Whether it is through volunteering, attending events, or financial gifts, there are so many ways to stay connected with current students, fellow alumni and with the College. Provide us with your current contact information and alumni details. MCCC alumni are defined as any person who has completed 30 credits or more at MCCC, Trenton Junior College, or Trenton School of Industrial Arts. Upon verification of alumni status, the Alumni Relations Office will mail your MCCC Alumni Benefits Card to the address provided, along with a few other goodies. If you should need one re-issued to you, please complete the above Alumni Contact Update Form and a card will be mailed within 2 business days. 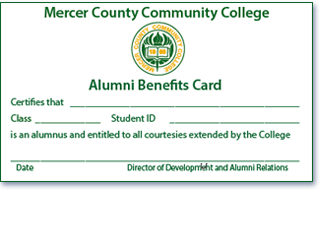 Or you may obtain your Alumni Benefits Card in person from the Alumni Relations Office located on the West Windsor campus, Administration Building, Room 112. 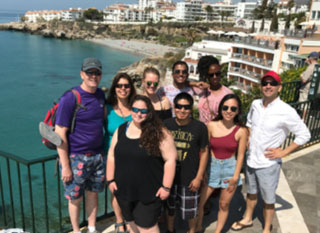 The short-term Study Tours take you outside the traditional classroom to experience the on-location culture, society, history, art, science, architecture, and business practices of some of the most popular destinations in Europe, Central America, Cuba and beyond. The Study Tours program is available to MCCC students, alumni, faculty, staff, and the Mercer County community. For more information about upcoming short-term Study Tours, visit www.mccc.edu/programs_studyabroad_tours-current.